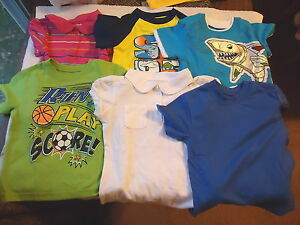 BOYS LOT SIZE 4T & 4 TOPS CARTERS & OSH KOSH EXC. COND. Details about Baby Boys Lot Of 6 Shirts " NWOT " Sizes,1,12 M,1,4T,4 ,24 M " AWESOME LOT "